Crossbill Gin revels in being the Highlands’ first Scottish gin produced from 100% locally sourced juniper and rosehip. Now it’s not just the finished product that is acclaimed, but also its distillery which is housed in a converted chicken shed that has just beaten 2,520 other sheds to win Channel Four TV's Shed of the Year competition. 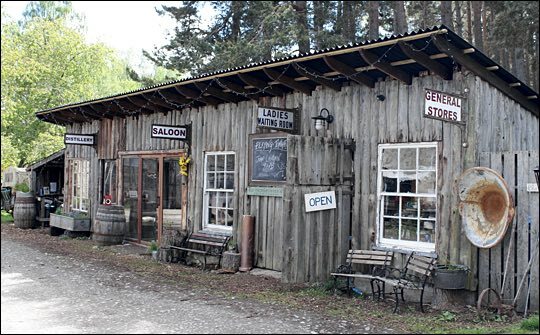 Crossbill’s converted chicken shed is not what anyone would expect, boasting a bar made from an upcycled part of an old chapel, a drinking parlour furnished with vintage armchairs, a shop and of course the gin distillery. Inshriach forest in Cairngorms National Park is one of the few places in the UK with an abundance of native wild juniper. By locating the distillery within the national park, Crossbill has the unrivalled ability to get the freshly picked juniper into their still within five minutes. 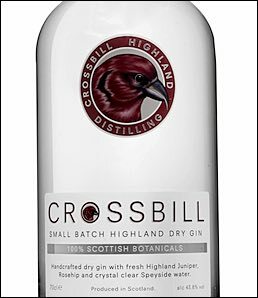 Taking its name from the Scottish Crossbill, a bird native to the Highlands, Crossbill’s micro distillery releases small batches of gin each year (Crossbill was first available in Dec 2013). Each batch is reflective of the distinctive properties of the hand-picked wild juniper. Crossbill’s founder Jonathan Engels, previously an architect, converted the chicken shed and, working closely with the park’s estate manager Walter Micklethwait, begin production of Crossbill gin. “This has been a passion project for me. I’d always been interested in reviving Scottish juniper harvesting to produce a truly Scottish gin. The forests of Inshriach provided us with the best conditions for cultivating a sustainable supply of wild juniper. Crossbill is currently working with the Forestry Commission and PlantLife.org in reviving Scotland’s juniper production.